The Huh? : LucasArts No More. LucasArts shut down by Disney. Could this really be? If the stories are true- this is a sad day. Disney, a company that essentially owns a 6th of America, can afford to maintain a game company that produces repeatedly great games such as the old SNES Star Wars side scrollers, the Tales From Monkey Island series, and Grim Fandango on top of the newer Star Wars games(Unleashed). I don't know if it's for real or not, but this sounds like it happened. After months of rumors beginning when Disney acquired LucasFilm add to that the stop on announcements from LucasArts, these things hinted towards this outcome- a complete shutdown. "It is worth noting that we are looking for proven external partners who can help us provide video games to our fans. We still believe in the video game industry, we still will provide Star Wars games, we're just looking at different models rather than internal production... They're evaluating everything. 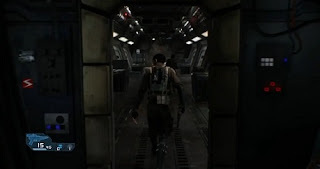 There's always a possibility that it [Star Wars 1313] can still come out via licensing." I wouldn't completely rule this out, but am still somewhat depressed at this news. Another good company dissolved. Why not keep the franchise games going? Star Wars 1313 looks like a huge winner- essentially Uncharted in the Star Wars universe. Thanks, Disney.